This handy book is a working reference for practitioners using the MCT (Manufacturing Critical-path Time) metric. MCT is a time-based metric that supports continuous improvement projects, since it quantifies an organization's total system-wide waste. Properly used, MCT does not need to be data-intensive and can be relatively easy to apply. Although the origins of MCT are in manufacturing, the metric can be used in supply chains, insurance, banking, health care, and other industries. 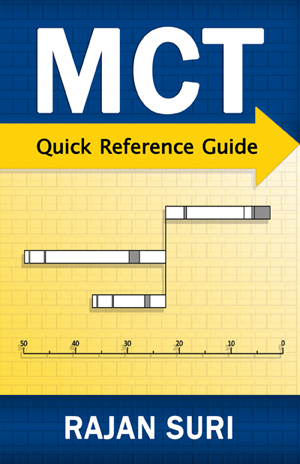 This Guide is a "must-have" for anyone using MCT in continuous improvement projects! Price includes packaging and shipping within continental USA. International shipping currently not available.